Amazing Uttrakhand package ensures the most happening 8 days and 7 nights in Uttrakhand, with all due care of your comfort. It is hard not to be taken in by the magic of Uttrakhand. 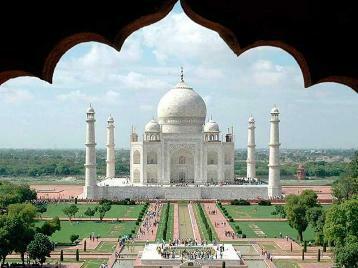 Its geographical diversity, rich culture and exemplary hospitality guarantees to last long in your memories. Package covers the capital city Dehradun with other prominent attractions like Nainital, Kausani, Almora and Jim Corbett National Park. Nainital has all that one could expect from a hill station. Kausani is truly India's Switzerland. At Jim Corbett Park one may experience gaiety in wilderness. 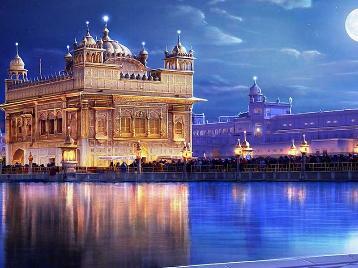 This package is tastefully crafted and has a lot to be a treat for every category of travellers. Trip begins at Dehradun. 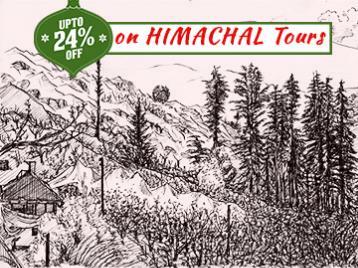 Himalayan Mysteries representative will pick you and drive you to Nainital. After reaching Nainital, check-in to the hotel. Later you may explore the city on your own or you can spend time relaxing in Hotel, as per your preference and comfort. Dinner and overnight stay is scheduled in Hotel. Will proceed for Nainital sightseeing post breakfast. Place is a paradise for nature lovers, itinerary includes visit to Naini Lake, Khurpatal, Bhimtal (Boating at your own cost), Naukuchiyatal and Sattal. Later enjoy local sightseeing of Nainital which includes Zoo, Hanuman Gadhi Temple, and Suicide Point and explore the scenic beauty of Nainital by cable car (at your own cost). Overnight stay is scheduled in hotel. Post breakfast will drive to Ranikhet which is another amazing hill station near Nainital. Whole day is scheduled for sightseeing which includes visit to Kaichi Temple, Chaubatia Garden, Kumaon Regiment Shahid Samarak and the Golf course (charges extra for hiring of golf kit and caddy). Delicious dinner and overnight stay is scheduled at hotel in Ranikhet. Happening day starts with a lavish breakfast at Hotel, after breakfast check out and leave for Almora which is around two hour drive. Almora is another exquisite hill station in Utrakhand, the place truly a treat for nature lovers. Place is renowned for its Museum and temples. On reaching Almora, remaining day is scheduled for visit to Kasar Devi temple, Chitai temple of Lord Shiva, Deer Park, and visit to famous Lal Bazaar. Overnight stay is scheduled at hotel in Almora. Post breakfast will check out from the Hotel and drive to Kausani, which is another stunning hill station in Uttrakhand. It takes about one hour to reach Kausani, post check-in to hotel, remaining day is scheduled for local sightseeing. Prominent places include Baijnath & Bageshwar, Tea Garden, Tea Factory, Anashakti Ashram and Kausani local market. Overnight stay is planned at Hotel. After a hearty breakfast, check-out from Hotel and drive to Jim Corbett National Park. After reaching Corbett Park, check into Hotel. You may explore the place at your own, if desire so. Day ends with a delicious dinner and pleasant stay at Hotel. Day is set to explore Jim Corbett National Park. After a lip smacking breakfast proceed for Jungle Safari from Seetavani / Jirna Gates for full day excursion. Evening time will be back in hotel & overnight stay at Hotel. Trip ends this day. Post breakfast, check out from Hotel & drive to Dehradun. Our representative drops you at Railway Station /Airport for onward journey.